I can’t quite explain why I love vintage antique picture frames so much…but I just DO! And when I see them in thrift shops, I snap them up, no questions asked. While brainstorming for new project ideas (by tidying up my Craft Room), I realized something: Oval picture frames look a little like Easter eggs. 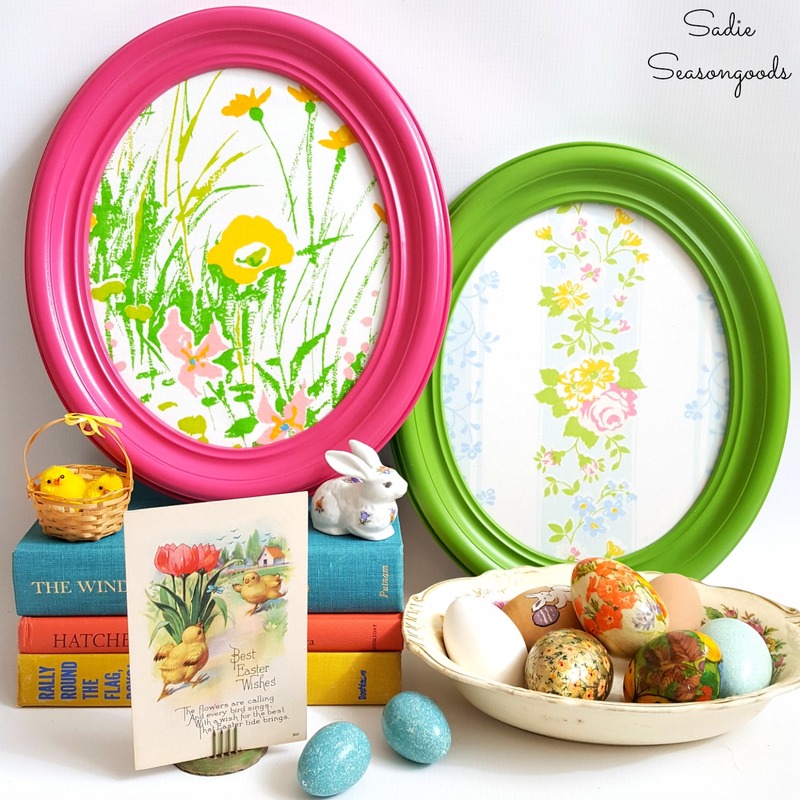 So I decided to upcycle some of my antique frames into Easter decor / Easter egg decor!